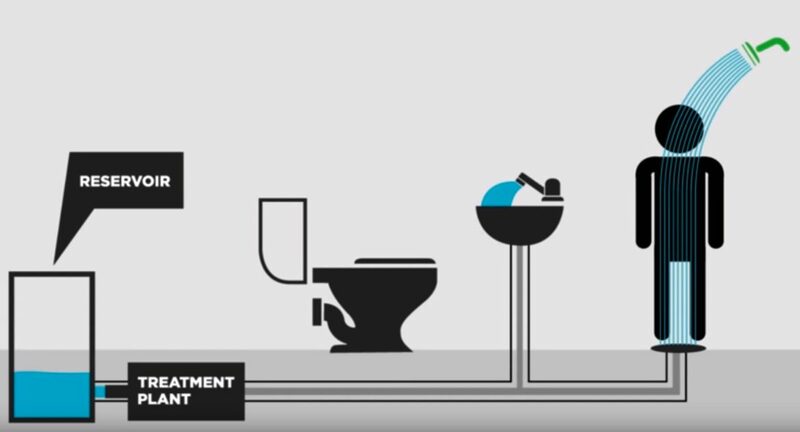 A graphic from a video on the website of the city and county of Denver that illustrates how graywater from sinks and showers can be treated, stored, and then used to flush toilets. Editor’s note: Aspen Journalism is collaborating with The Aspen Times on coverage or rivers and water. The Times published this story on Wednesday, Feb. 21, 2018.